A few meters away from Hillside Cafe & Juice Bar, is another healthy haven serving delectable and interesting vegetarian dishes. D was scheduled for an Organic Urban Gardening 101 in Cedarhills Garden Center, so my friend Sumi and I decided to visit the nearby restaurant called The Vegetarian Kitchen. I am far from going vegan or vegetarian, but somehow, vegetarian dishes interest me quite a lot. 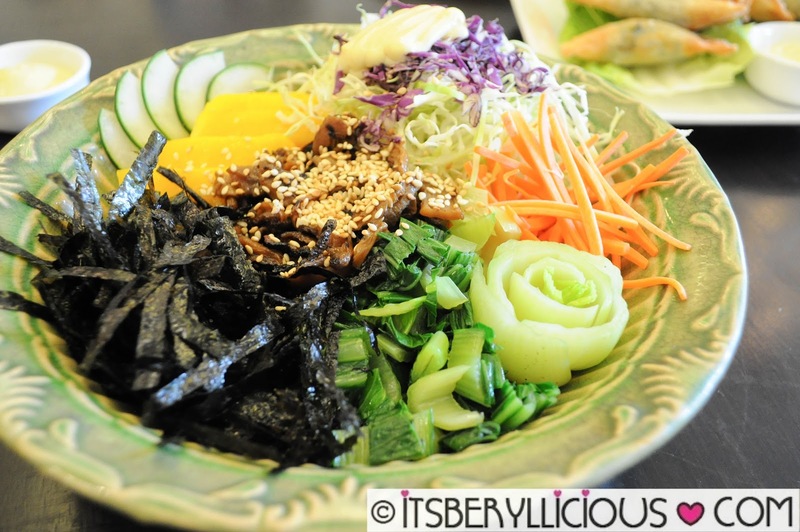 It is fascinating to see how restaurants turn vegetarian dishes into something creative and fun. 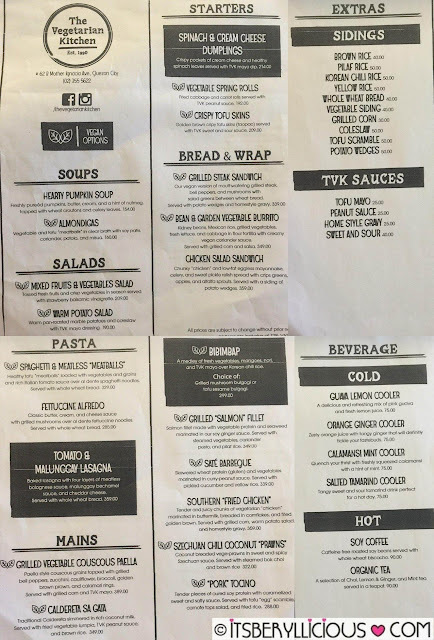 For me, this is a tougher challenge for chefs, since they have to use limited ingredients without having to sacrifice the taste and flavor of a dish. The Vegetarian Kitchen successfully did just that. The restaurant offers more than just your average vegetarian dishes and mock meat recipes. 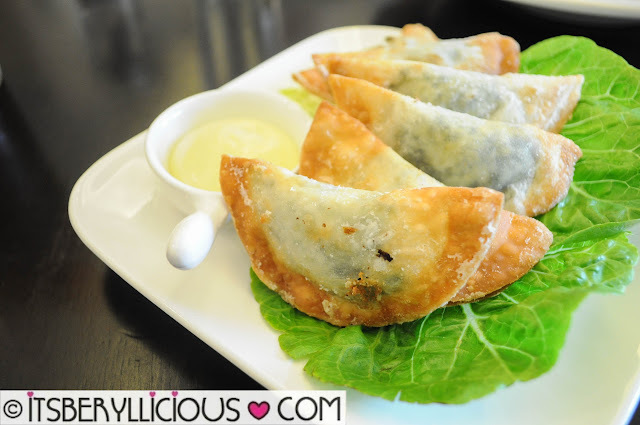 In fact, dining at The Vegetarian Kitchen won't make you feel that you are eating at a vegetarian restaurant at all. 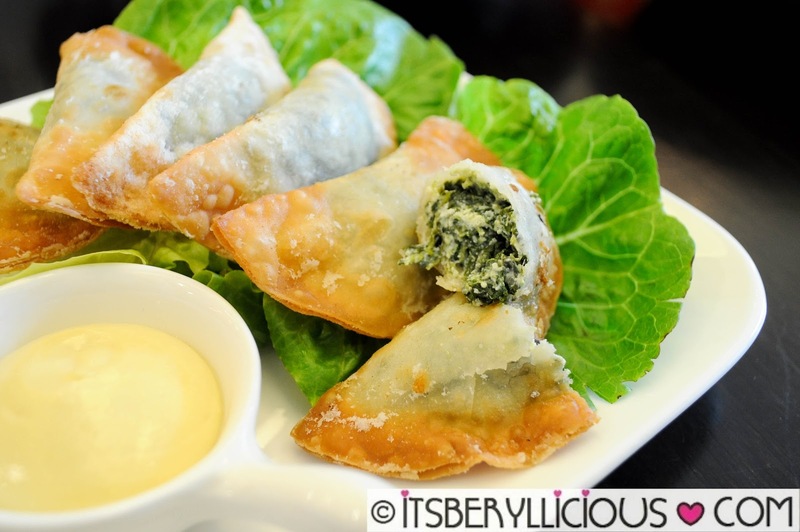 We started with an appetizer of Spinach and Cream Cheese Dumplings (P214) which were crispy pockets stuffed with cream cheese and spinach. The dumplings were not too oily, and the filling was quite generous. The Vegetarian Kitchen doesn't try to fake it by substituting vegan meat to a really good dish, but instead reinvents a new recipe that has its own character. Just like this Grilled Vegetable Couscous Paella (P389)- a paella-style couscous mixed with grilled bell peppers, tomatoes, zucchini, cauliflower, broccoli, and topped with golden brown prawns and calamari rings. 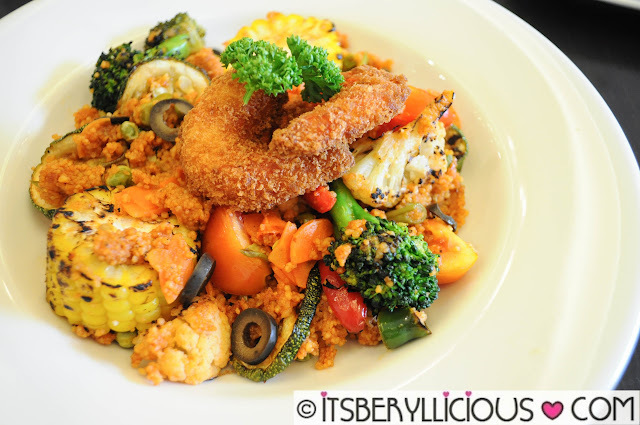 This colorful plate highlights the use of grilled vegetables more than the "prawn and calamari" toppings. I personally think the dish will still stand out even without it. The Grilled Mushroom Bulgogi Bibimbap (P299) was both refreshing and delightful to the palate with all the fresh and crisp veggies, and slices of sweet mangoes over Korean chili rice. Every spoonful was a medley of sweet, salty and spicy flavors. 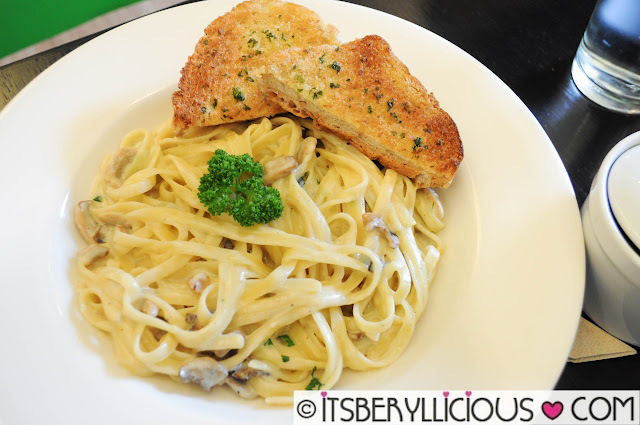 We didn't enjoy Hillside's Vegan Pasta Alfredo last time, so we ordered The Vegetarian Kitchen's Fettuccine Alfredo (P285) to see how it compares. Fortunately, this one did not disappoint. It was very tasty with its al dente fettuccine noodles, tossed in classic butter, cream, cheese sauce, and grilled mushrooms. 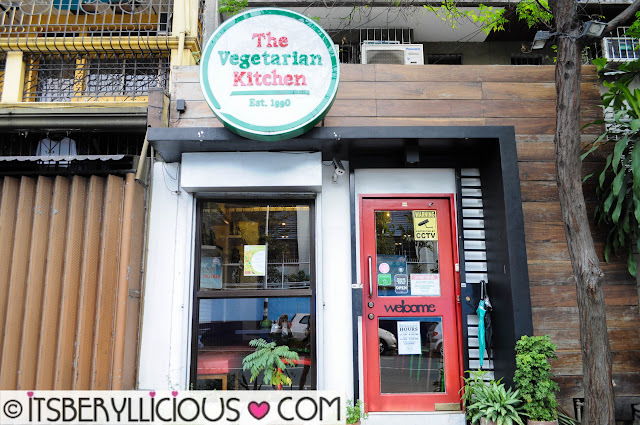 If you are into meatless dishes but still want a party of flavors, I recommend you to check out The Vegetarian Kitchen for some creative and delicious vegetarian and vegan cuisine. Their menu changes once in a while, as they continuously try to whip up new and exciting dishes for their customers. You may enjoy a selection of Asian delights today, and be surprised to find healthy Filipino favorites on your next visit. Looking forward to going back with the whole family soon!